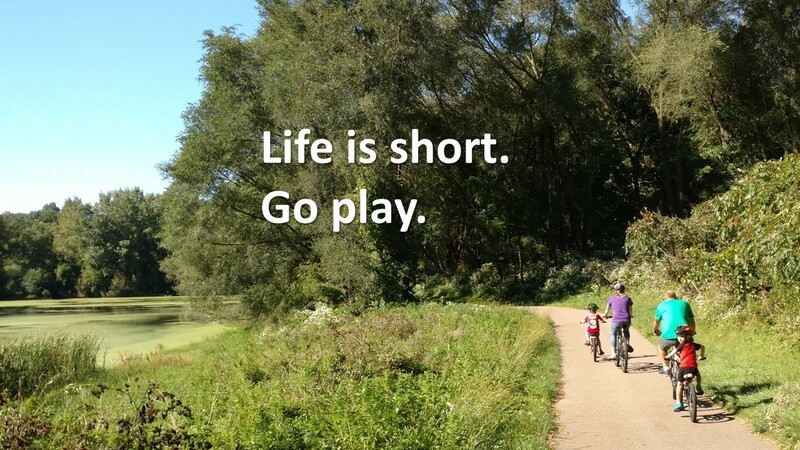 Life is short, go play! Hi! Good morning.! How are you? Happy Wednesday! Did you take a Thanksgiving break from social media? I did, and I have to tell you, it was wonderful. Really, beautiful family time. We cooked, we talked, we played charades. We sat in front of the fire and read books. On Monday, when I went to pull FB back up again, my youngest walked by. He looked at the computer with mix of disappointment and loathing. “Oh. So are you back on FB?” He asked, looking so very unhappy. Sometimes I forget. I forget how much they need me. They want you, Mamma. They want your time and attention. They want you to play with them, to look them in the eye, to touch them and to talk to them. They crave your love and approval. They want you. I know we’re gearing up for cookies and toys and parties. I know you are probably pushing the limits of your budget (as am I) to get that One Perfect Thing that will make their eyes light up on Christmas. And time! Lord, the limits of time… how will it ever get done? But what a tragedy when I let The Busy or The Shopping or The Computer distract me from what my kids really want: a relationship with me. Remember, please, stuff doesn’t make you happy. And it doesn’t make your kids happy either, no matter what the commercials promise. People. Love. That’s where it’s really at. And that takes time to build. Twenty-five days. Twenty-five days to gear up for this holiday called Christmas. Twenty-five days to make memories and let your kids know you love them, and it has nothing to do with what ends up under the tree. I vow not to open FB or Twitter or Amazon while my children are awake for the entire month of December. While I am with them, I am REALLY going to be with them. 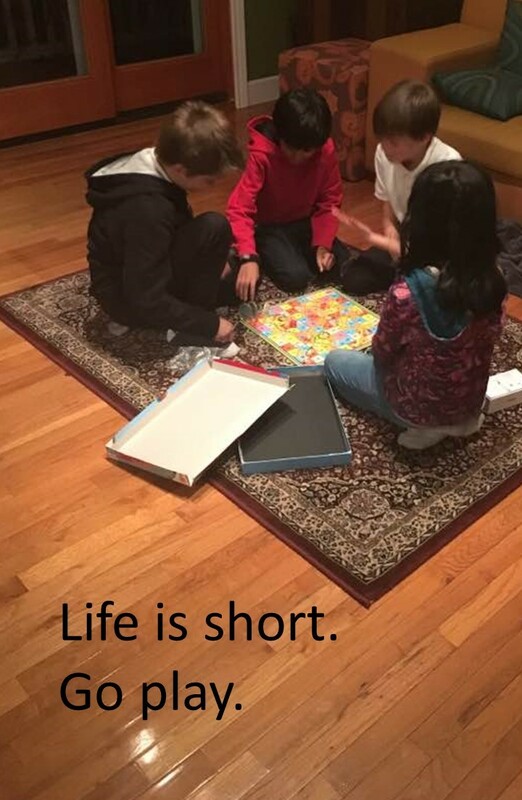 Life is short. Go play! 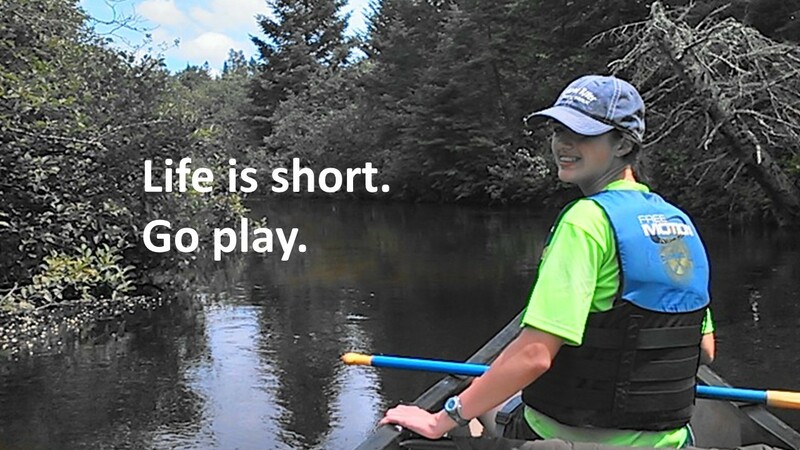 Life is short. Go Play., Saturday - play day! What can I do with my kids today? Saturday, Saturday! Good morning, Mommy!! 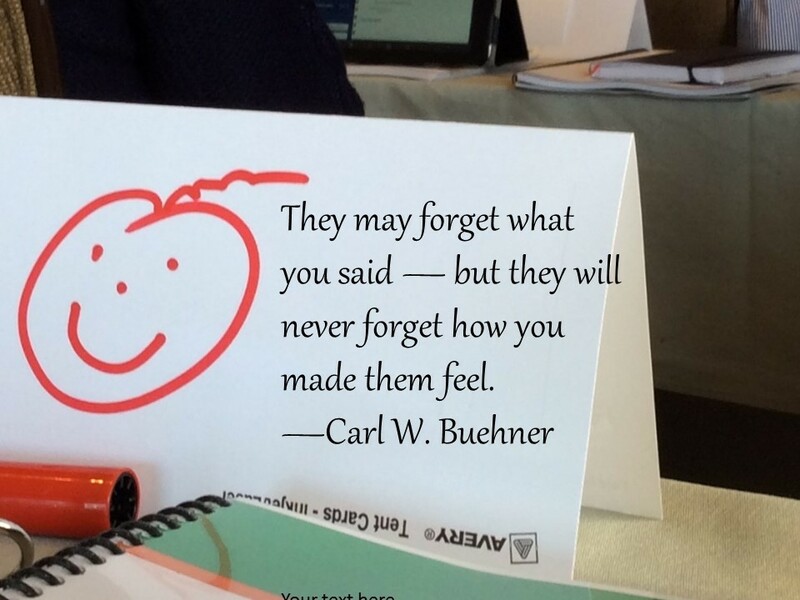 What are you going to do to #buildmemories today? Make breakfast with the kids? Let them put the blueberries in little cups and cover them with whipped cream.! Let them spread the peanut butter on the toast (and lick their fingers because it inevitably gets everywhere, it’s a cardinal rule of peanut butter spreading)! Let them pick the flavor of the pancakes! Cooking and eating together feeds both body and soul. Will you get outside together? Hanging (and napping) in a hammock? Splashing at the beach (and sandcastles, definitely sand castles)? Going for a hike with a picnic tucked into your backpack? Or maybe you’ll just set up the sprinkler at home and let the kids run through it while you snap pictures that you’ll laugh at forever? Or is today a cultural day? Biking to the local bandstand to hear music? Spending a couple hours at a local museum (children’s, science or art, they’re all wonderful). Is there a festival going on near you celebrating another ethnicity or culture? County fair! You could find a county fair! Corn dogs and cows and kiddie rides. Awesome. Is today a weeding the garden day? A mud pie day? A plant-a-little-tree-for-each-kid-and-let-them-take-care-of-it day? Dirt is awesome. This is your life, Mamma. These are the days that build your relationship with those precious kids of yours. And that husband you’d like to continue to enjoy a great relationship with for pretty much forever. Go. Do. Live it and love it and take pictures. Good morning, Mamma. Saturday… yum. Make some memories today, please? Yes the laundry and the groceries, I get it. But don’t forget to make memories too. It was such a change in perspective for me. And a lesson made all the more poignant by the fact that our oldest has told us that when he moves back to school this fall, he won’t be coming back. Oh, he’ll come back for birthdays and Christmas and the occasional Sunday dinner, he will call and email and he still loves us very much, but this is it, he’s moving out. Can you imagine my grief? This is it. 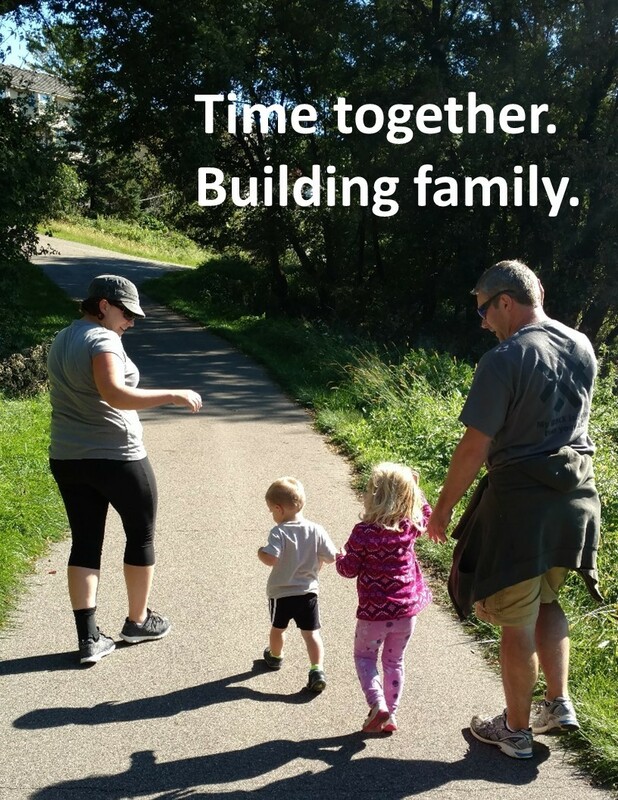 All the stuff I missed as a working mom, and all the stuff I made it to, that careful balance of enough for work and enough for my family, adding up the hours and events and dinners at home… our math, for the most part, is done. Keep that in mind as you plan your day. This season, this mess and sleep loss and helping on with very small shoes, it ends. When it does, make sure that you have a wealth of memories to go back and visit. A treasure trove.